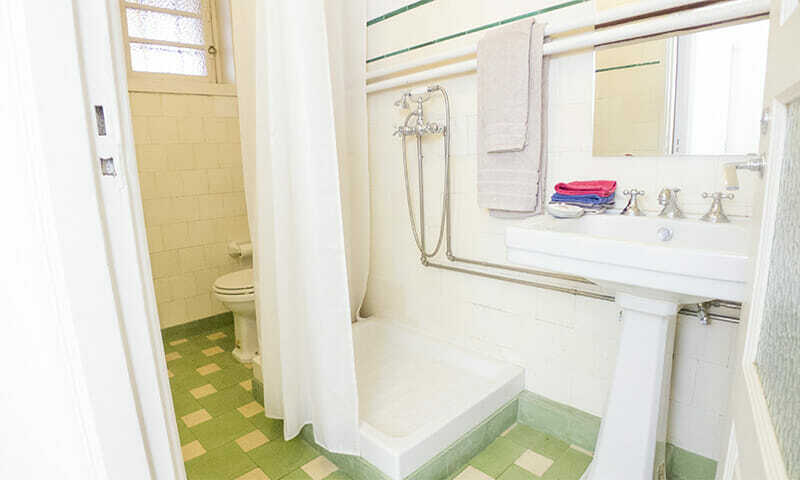 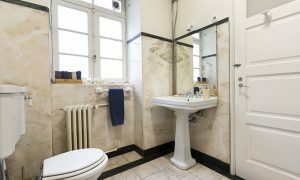 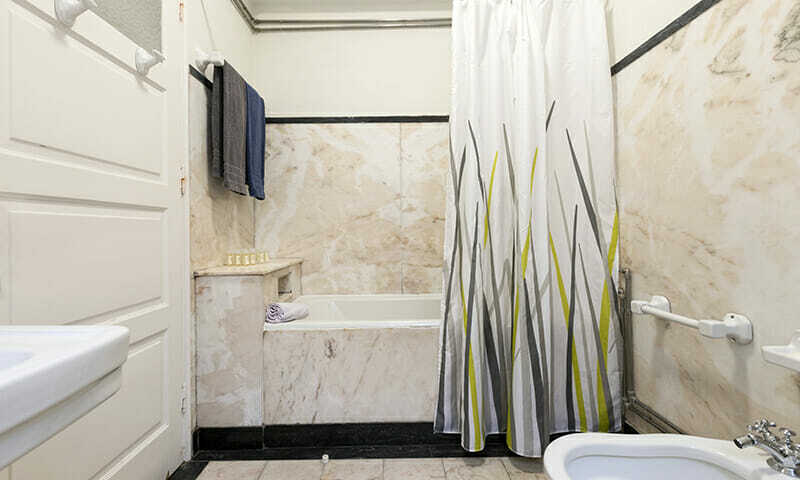 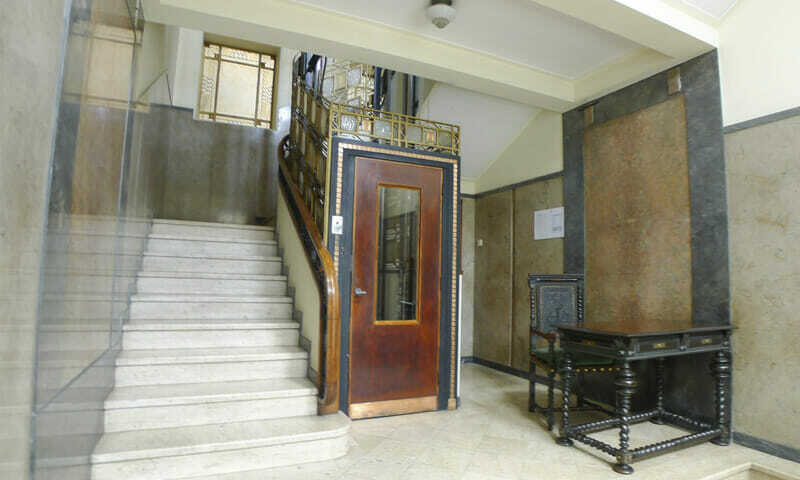 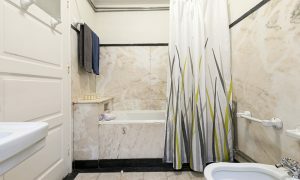 LV Premier Firmeza Apartments SC2 is an superb 4 bedroom / 2 bathroom apartment, located in a prewar listed elevator building, with graceful Art Deco details. 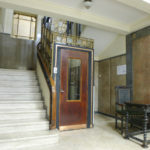 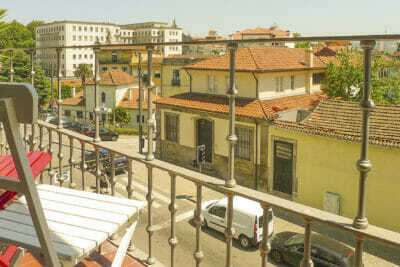 It is in the same building as SC1, and around the corner from Santa Catarina street – the main shopping area of Porto. 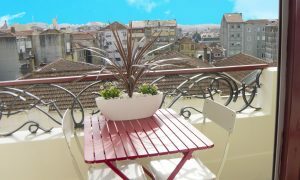 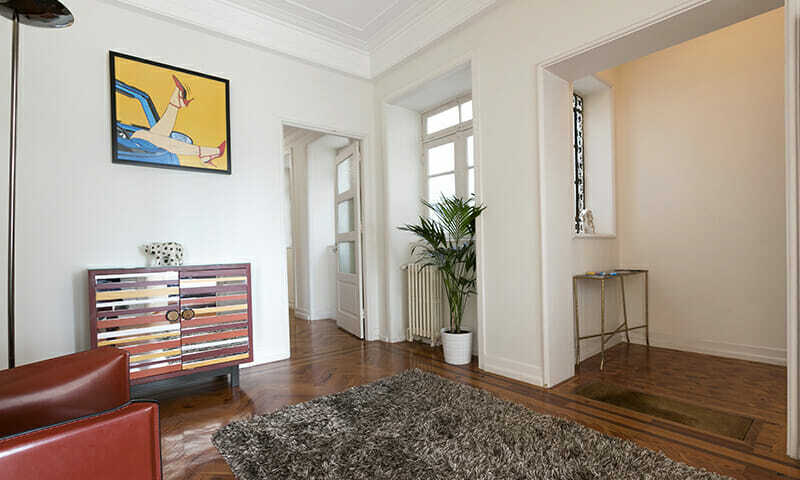 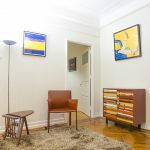 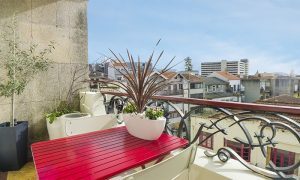 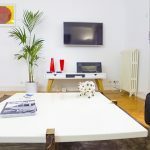 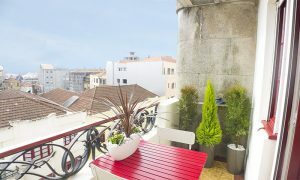 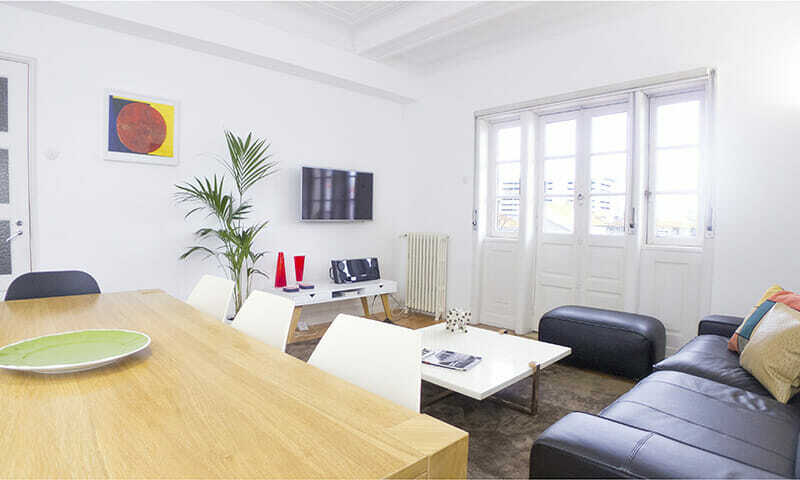 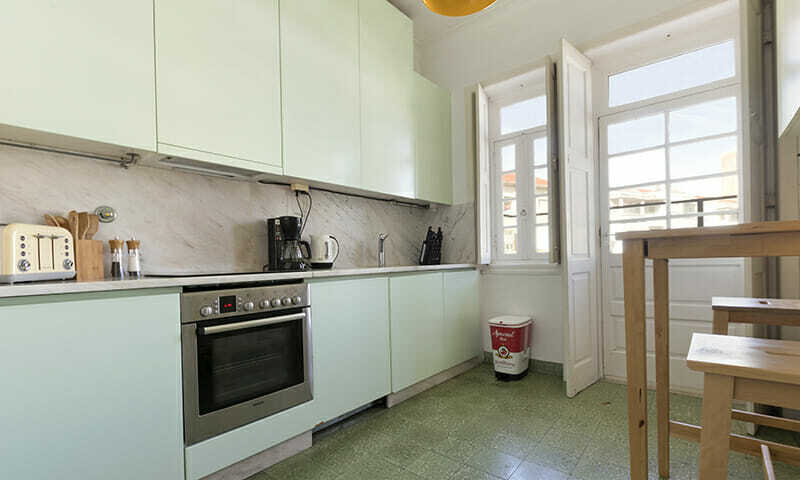 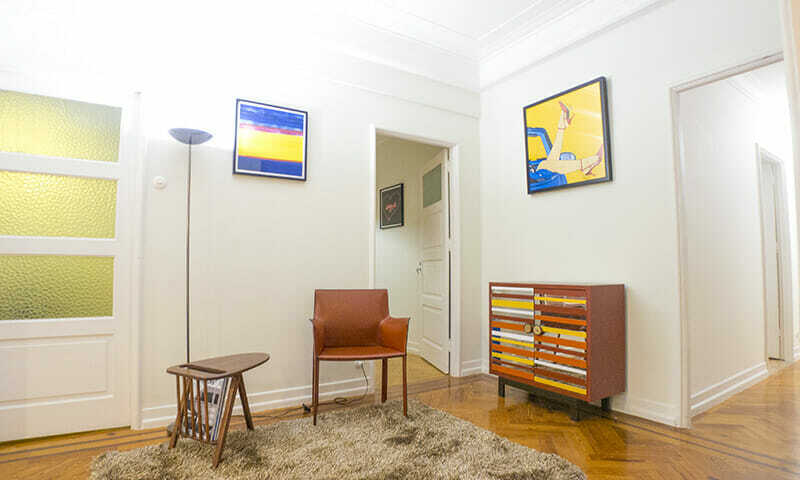 This apartment is spacious, with a balcony overlooking Rua da Firmeza, plus a back balcony facing a quiet courtyard. 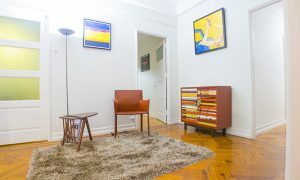 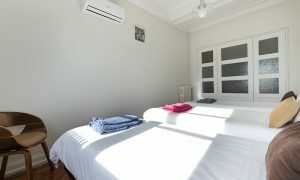 It is fully equipped with all amenities including AC, heating, large and small kitchen appliances and more. 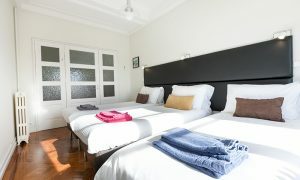 We are minutes away from the theater district, Aliados Av., and very close to the main nightlife area. 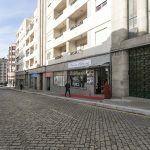 Metro Bolhão and Trindade about 3 min walk. The LV Premier Firmeza Apartment SC2 has 4 bedrooms (2 triples, 2 doubles), sleeping 10 people with 2 extra people in folding beds. 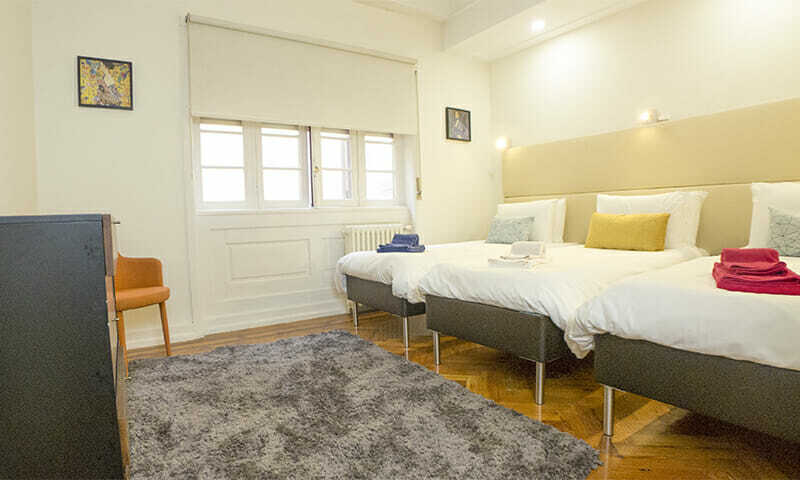 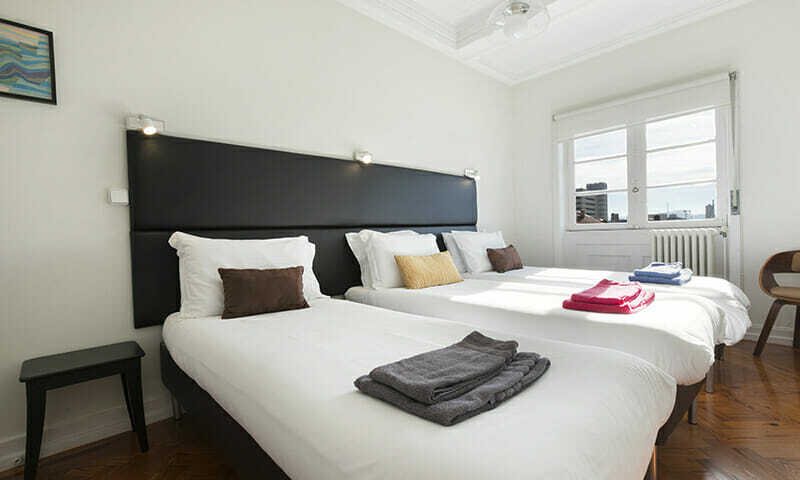 Bedrooms can be prepared with individual or king size beds. 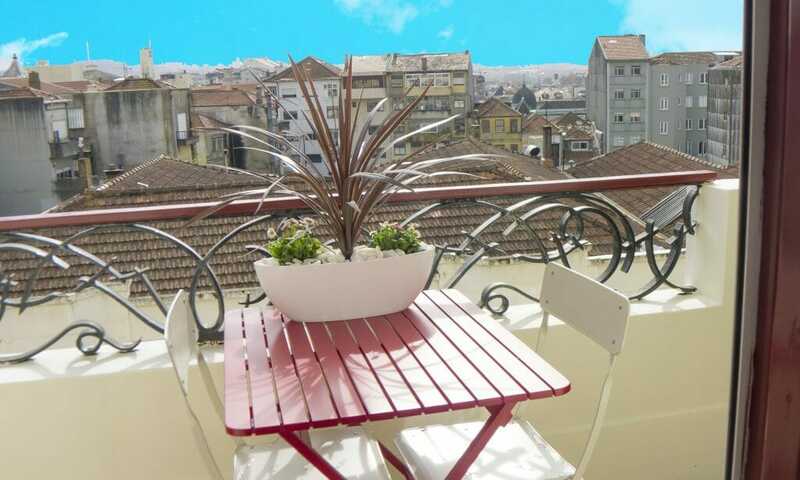 The apartment has a charming bright terrace off the living room and a quiet service balcony in the back. You will find a generous living area, separate modern kitchen, as well as 2 bathrooms. 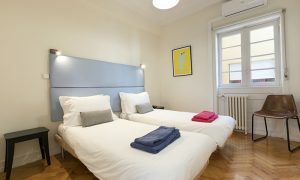 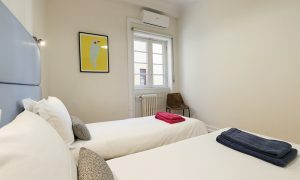 We equipped the apartment with hypoallergenic luxury microfiber duvets, 100% cotton bedding and luxurious soft bath towels.  As in other LV Premier properties, you will have a complimentary basics pack including some toiletries (with shower gel/ soap, etc. 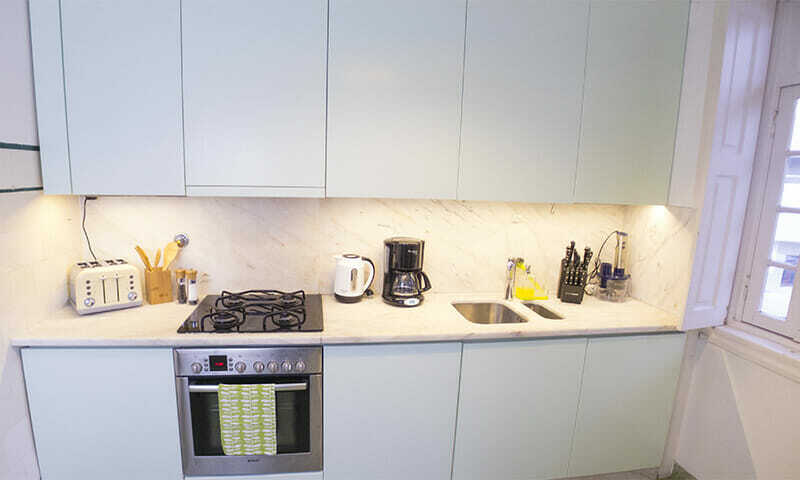 ), a breakfast pack (coffee/ tea/ sugar); spices & condiments and cleaning essentials. 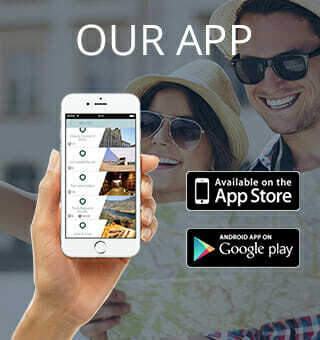 We offer a few extras, such as beach towels, beach umbrellas and local cellphones – available for a small fee during your stay. 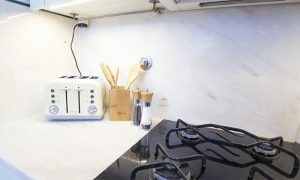 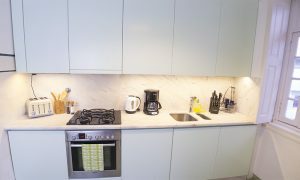 Our kitchen is equipped to a high standard- from top quality plates, dishes, various sized pots and pans, small appliances such as coffee maker, hand held blender and more. 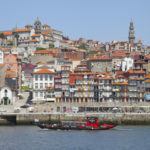 There are supermarkets and many grocery stores nearby, as well as historic traditional Bolhão market. 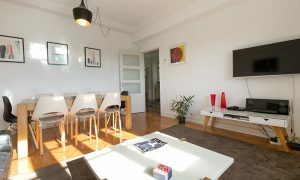 Spacious living room with terrace access and ample city views. 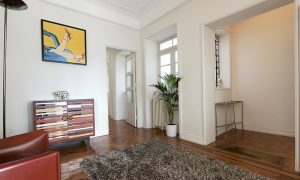 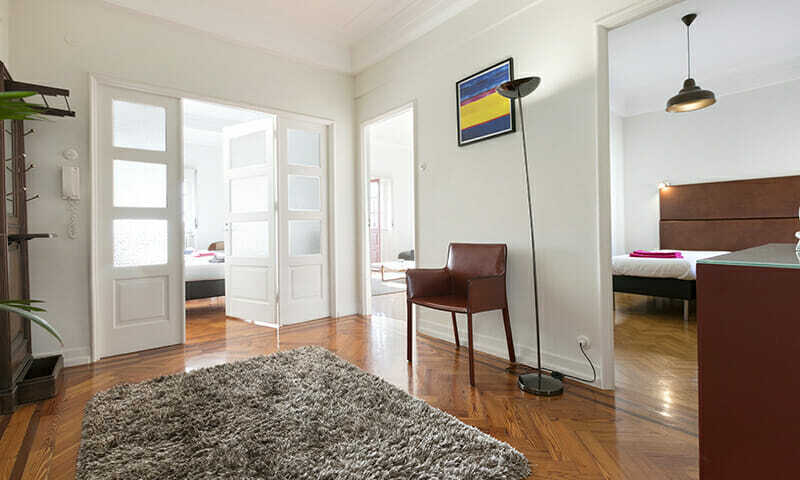 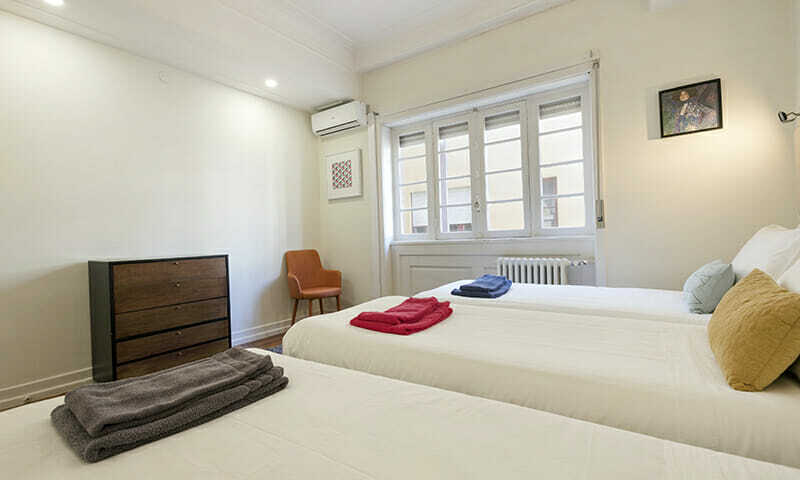 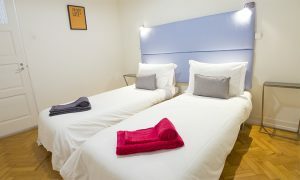 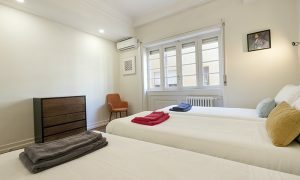 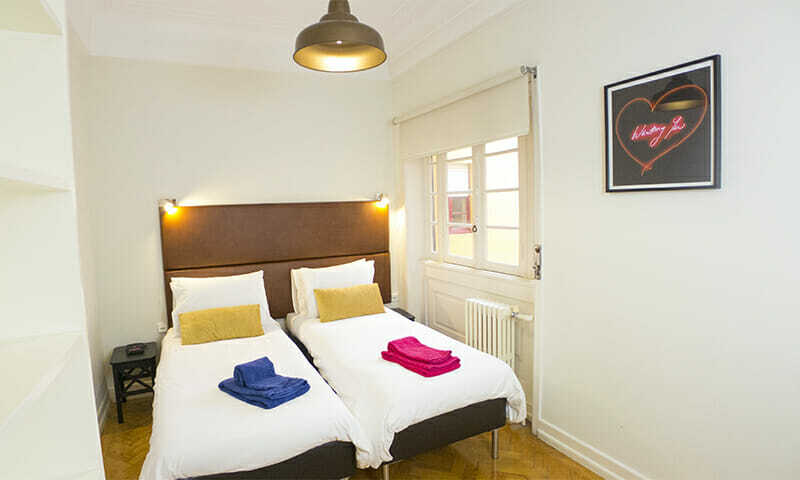 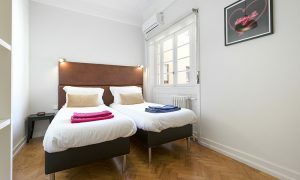 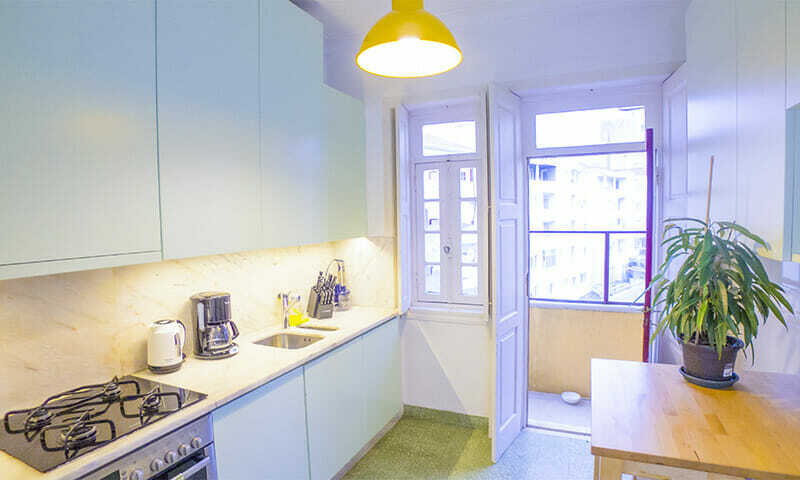 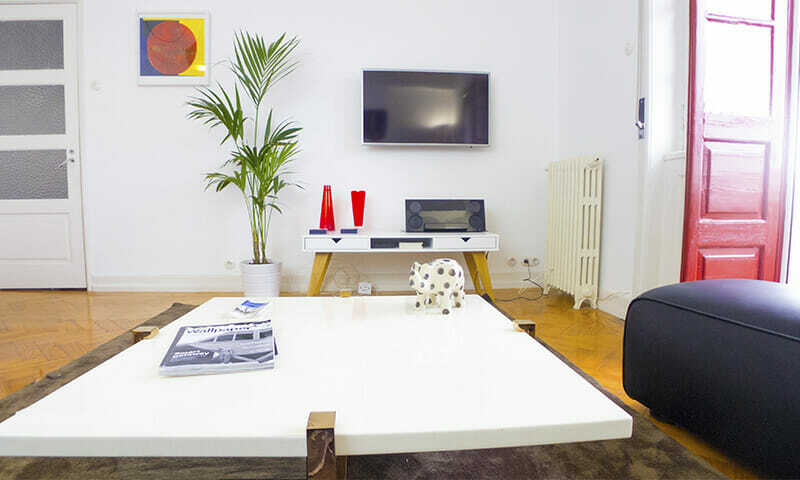 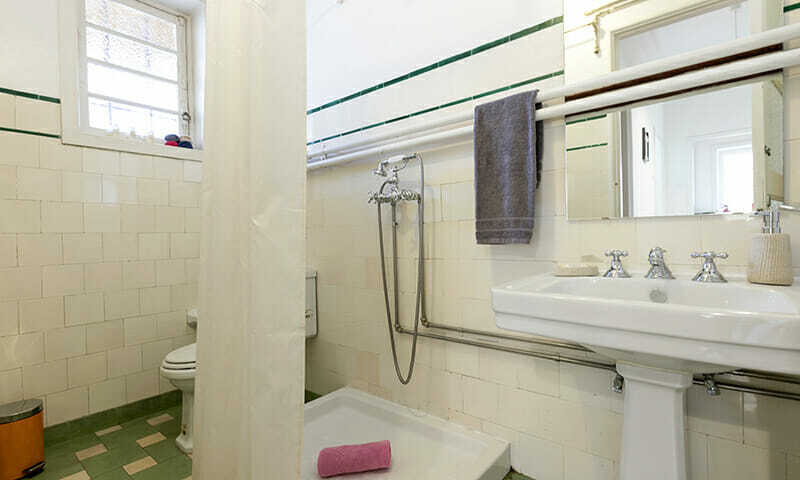 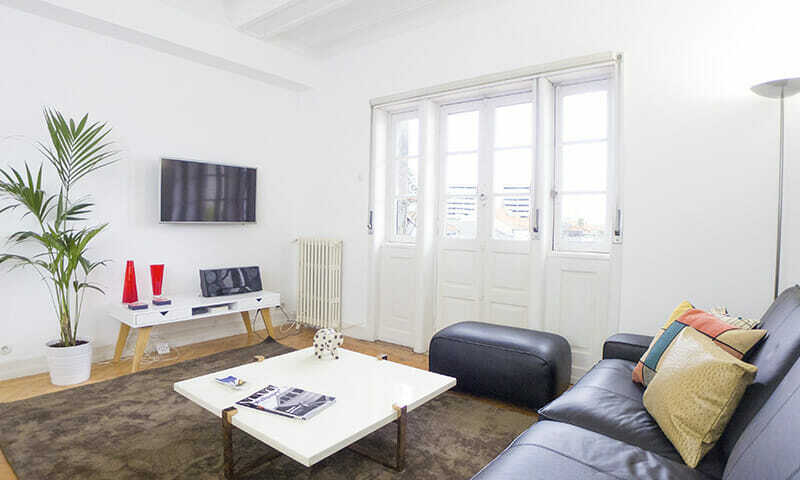 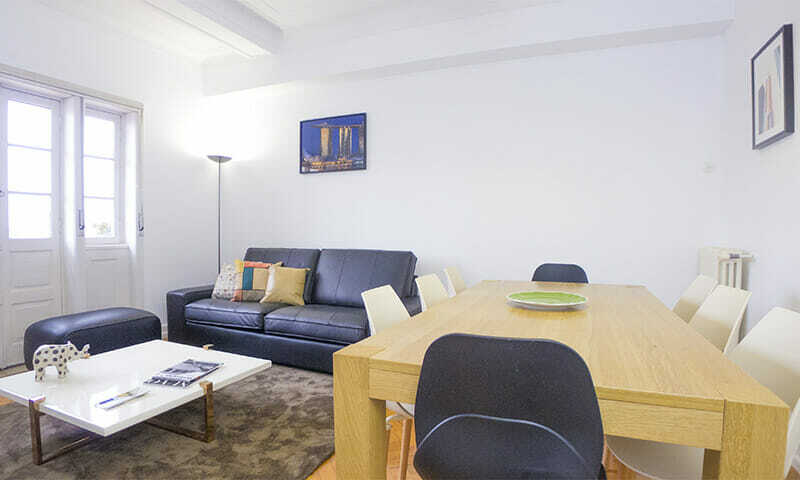 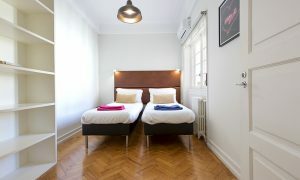 LV Premier Firmeza SC2 is located in the Baixa of Porto, 2 min away from Bolhão metro station. 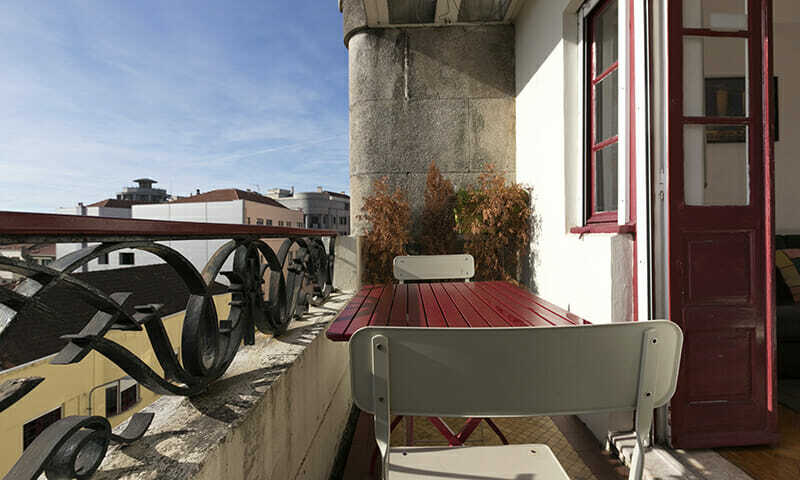 Close proximity of key historic sights in Porto will enable you to discover the city on foot- Clérigos tower 10min; Galerias de Paris 10min; Aliados Av. 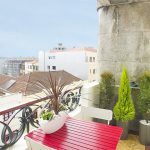 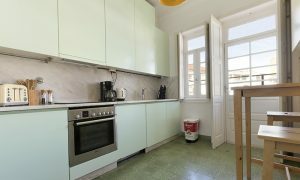 – 4 min; Theater district 3-5 min, Ribeira -15 min, Gaia and the Porto wine caves crossing the bridge a leisurely 15-20 min walk. 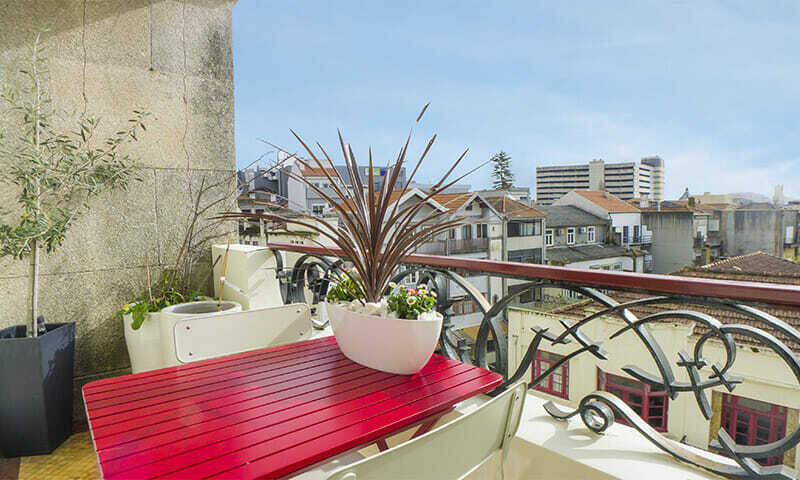 The art district around Miguel Bombarda streets are 10-15 min away, and one of the other famous pedestrian streets- rua da Cedofeita is a mere 7 min away on foot. 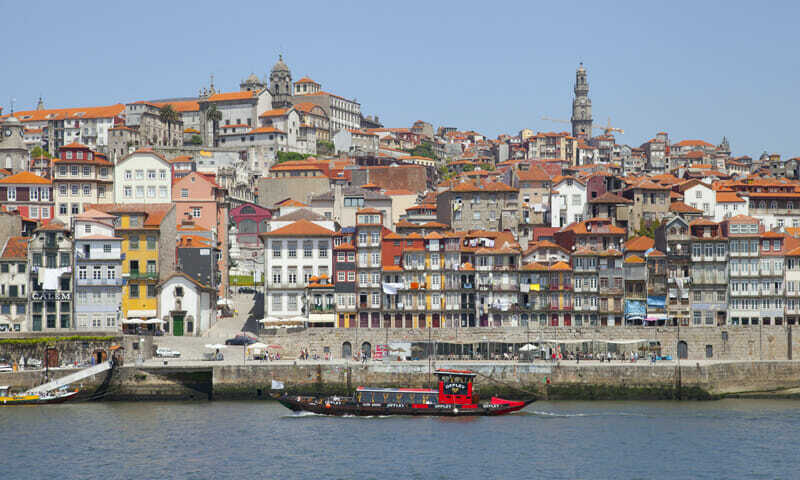 Try to visit the nearby Foz, at the mouth of the Douro for a relaxing afternoon overlooking the sea. 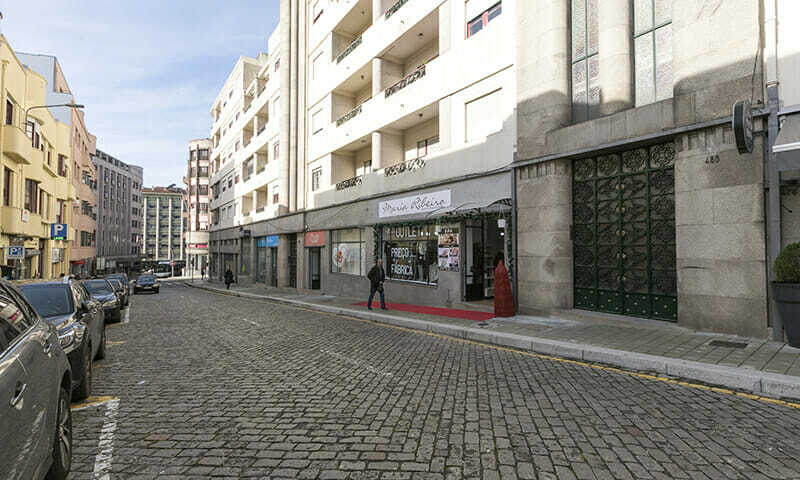 A bit further ahead sample fresh and delicious seafood in the picturesque village of Matosinhos.